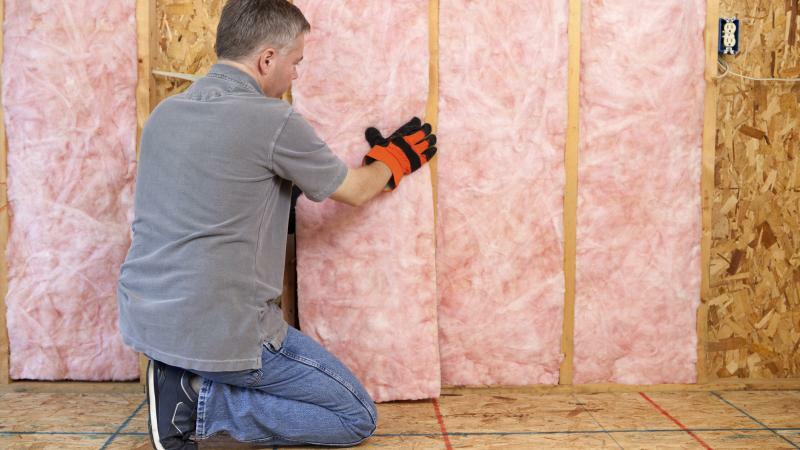 Home insulation may not be the first thing you consider when you’re looking to upgrade your house, but it’s a decision that really pays off. Not only does insulation increase your home’s comfort, keeping you warm on the coldest days and cool on the hottest, but it also slashes your energy costs. You could save as much as 20 percent off your monthly energy bill, Energy Star¹ reports. And you’ll enjoy the financial benefits for years to come. Insulation lasts for decades, and having quality insulation can even add to your home’s value. Here are the factors you need to consider when you’re choosing insulation for your home. Although insulation can typically be installed any time of year, it pays to strategically plan when you’ll add insulation to maximize savings. If you live in a warmer climate, for example, you should have insulation installed before summer strikes. That way, you’ll save on energy almost immediately and start recouping your costs right away; you’ll use less energy to cool your house. Alternately, if you live in a colder climate, have the insulation installed before winter hits to maximize saving on your heat usage. Batts and Blankets: Typically consisting of fiberglass, batts or blankets of insulation are most familiar to most homeowners. It’s commonly used to insulate attics. Loose Fill: Loose fill insulation is made out of fiberglass. It’s typically used in attics and walls, as this type of insulation is best for spaces with many tough-to-reach areas and small nooks and crannies. Foam/Sprayed-In-Place Insulation: This type of insulation usually consists of liquid polyurethane, and it must be installed by professionals because special equipment is needed. This type of insulation is most commonly used in tight spaces, including beamed ceilings, around foundations, and in walls. Rigid Foam Board: Typically installed at the time of construction, rigid foam board is automatically installed in newer homes but isn’t used in many older ones. Rigid foam board insulation is typically used in walls or as roof sheathing; it’s sometimes also used beneath interior walls or around the foundation of a home. Reflective or Radiant Barriers: For homes in warm or hot climates, reflective or radiant barrier insulation can make a huge difference in keeping the premises cool. Typically installed in attics, it features a reflective surface that reflects the heat absorbed by the roof away from the home. Installing insulation can be a complicated and disruptive process if you’re already living in your home. Certain types of insulation require tearing out floors, ceilings, and walls. Since the work is so disruptive, it’ a smart idea to install insulation when you’re planning other home renovation or remodeling projects. You can also speak with contractors and professionals about the possibility of installing insulation in only part of the home, such as the attic. Smaller-scale insulation projects can be more convenient and far less intrusive on your house, yet they can still make a big difference when it comes to your energy bill. Insulation is certainly an investment – you’ll have to pay for both the insulation and the installation before you can begin seeing a payoff on your monthly energy bill. But the good news is insulation costs vary very little. Insulation makes your home more energy efficient as soon as it’s installed. Because insulation keeps houses cooler during hot weather and warmer during cold weather, you won’t need to crank up the heater or the air conditioning, or plug in additional appliances like fans or space heaters, in order to stay comfortable. This significantly reduces the amount of energy your home uses. If you have an HVAC system already installed in your home, insulation will become even more energy efficient. You’ll be able to control the temperature throughout your home – and, if you follow the recommendations set by Energy.gov³, your HVAC system can help you save an additional 10 percent on energy usage and costs every year. In addition to saving you money every day, home insulation will keep you far more comfortable inside your house. Optimal insulation helps eliminate issues like drafts, which can make a home too cold, and it can keep you cooler in hot weather too. When a home is well-insulated, conditioned air is circulated and kept inside, and outside air won’t leak inside – and cool air from your AC won’t escape through windows, walls, or the roof. The same impact occurs when you’re trying to heat your home. The benefits of installing home insulation are huge. Who wouldn’t want to save money every month on energy costs? And keeping your home’s temperature perfectly comfortable is another big incentive. Once you’ve decided insulation is a smart investment for your home, all that’s left is finding reputable contractors in your area who can install insulation for you. Search online to easily find insulation contractors or professionals. Compare and contrast the experience, reviews, and price estimates from different companies in your area – and don’t forget to search for contractors who offer free quotes. That way, you can compare what insulation installation will cost you before agreeing to the work. If you’re interested in installing home insulation, start a search today. 1 Energy Star, Methodology for Estimated Energy Savings from Cost-Effective Air Sealing and Insulating 2 HomeAdvisor, How Much Does it Cost to Insulate a House? 3 Energy.gov, How Much Can You REALLY Save with Energy Efficient Improvements?